The broader AFL world is catching on to how good North Coast players are as three young men who cut their teeth locally are acknowledged with higher honours. 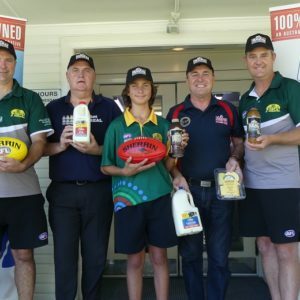 Harry Parker (Coffs Breakers), Angus Anderson (Sawtell Toormina Saints), and Jonty Neaves (Bellingen and Sawtell Toormina) have recently been rewarded for years of hard work and sacrifice as they take the next steps in their footy careers. Harry (17) gained selection in the Sydney Swans Under 18 Academy team for the inaugural NAB League match on Saturday. 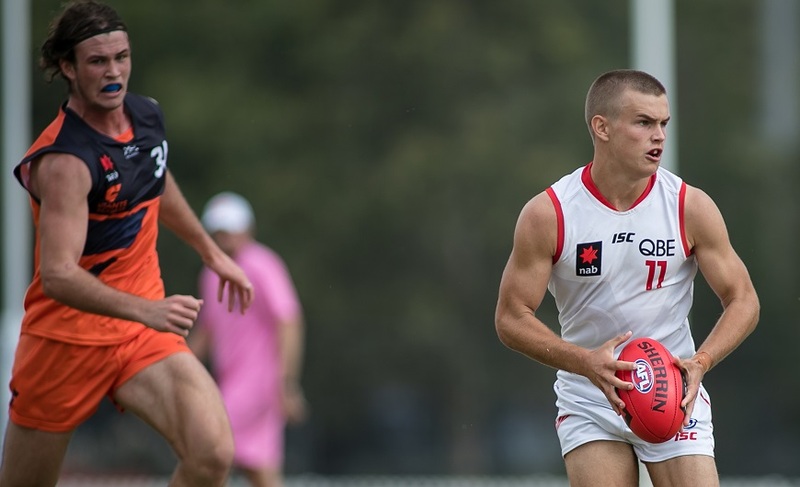 The Swans Academy played the first of their five matches in the expanded NAB League against the Tasmanian Devils and will play further matches against teams form Victoria, the Northern Territory, and Queensland. Harry moved to Sydney at the start of 2018 to “chase the dream” after winning the Woodlock Medal for Best on Ground in the 2017 AFL North Coast Senior Grand Final as a precocious 16 year old. The NAB League features the top draft-age talent in the country and Harry will be looking to use this format as a springboard to propel himself into the focus of recruiters from across the country. Angus (15) temporarily relocated to Melbourne at the start of this year to try his luck with the Eastern Ranges, a powerhouse outfit in the former TAC Cup (now NAB League). In addition to training with the Ranges he has been attending a sports high school in the Melbourne suburb of Box Hill. 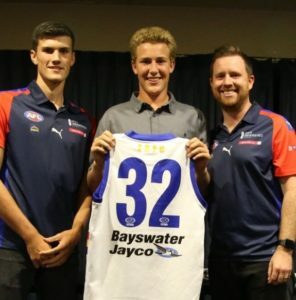 The grueling trial process started in late 2018 but Angus came through phases 1 and 2 with flying colours to earn selection in the Eastern Ranges Under 16 squad. The selectors were most impressed with Angus’ endeavour, commitment, and attitude throughout the program, all of which was displayed whilst living away from home without the normal support network. The Under 16 team plays a series of matches during the upcoming school holidays, then Angus will return home to play out the season with the Sawtell Toormina Saints. Jonty (20) recently signed with the Coburg Lions of the Victorian Football League (VFL), one level below the AFL. 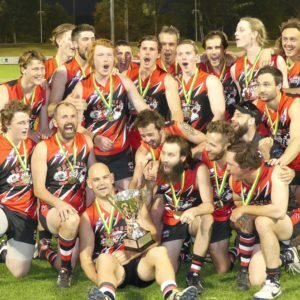 Jonty was rewarded for an outstanding 2018 season with Eaglehawk in the bendigo League, where he was a member of the representative side and won best on ground honours in the Grand Final. Over the course of the season Jonty showed himself to be a courageous, competitive and agile player that can play forward and also in the ruck with his great leap. Jonty started his Junior football career with hometown club the Bellingen Bulldogs before moving to Sawtell Toormina Saints to start playing Senior footy. 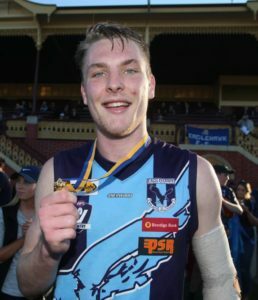 The Neaves family moved to Bendigo in 2016 which has allowed Jonty to continue his climb up the footy ranks. Registrations for all AFL North Coast clubs are still open with teams for male and female players from Under 11 through to opens. To find a club please go to play.afl.